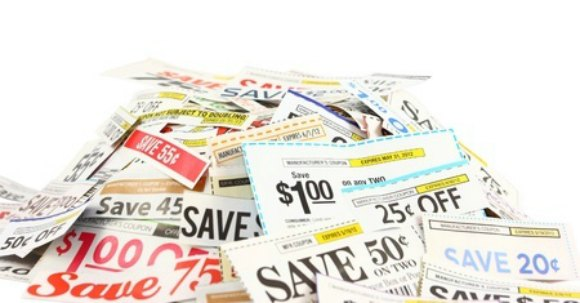 Did you know you can contact companies directly for money saving coupons? All companies have their contact information listed on their products and online. Most companies will have an email or address where you can send your complaint or compliment directly. Most of the time I will write a brief compliment or suggestion. Sometimes I’ll even write a criticism, if it applies. Complaint: I recently bought the Duracell Quantum AA batteries (include UPC code from package) and I was disappointed with the battery life. – Provide short but succinct detail about what your problem was and possible how it can be fixed. New Product: I recently saw an ad for the new Tic Tac Mixers! I am very excited to try to new product and I can’t wait to find it in my local store. Loyal Customer: I have been a loyal Hunt’s Foods customer for years. My family loves the taste of the Pasta Sauce and Ketchup and I love the 100% natural canned tomatoes. I would love any money saving coupons you can send our way. These are just a few ideas to get you started. The keys when writing to companies is to keep your email short and direct. It’s very simple to learn how to get coupons. You also want to be sure to include your mailing address, if possible. It doesn’t take much time at all. Now, not all companies will send coupons, but don’t be discouraged. The coupons you do receive will likely be of a higher value then you can print and you may even get some coupons for FREE products! 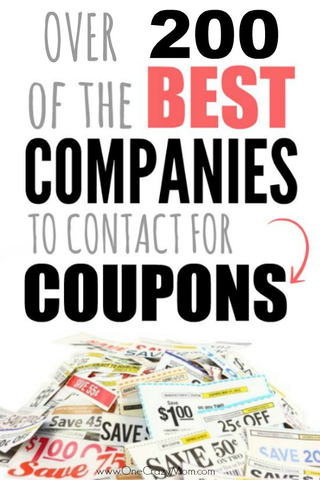 I am including a very extensive list of many of the companies that have been known to send coupons. This list IS long. I suggest you start with brands and products your family currently uses (or would like to use) and then work your way through the list once you’ve hit your favorites. Start contacting companies now, and in a few weeks you are going to be pleasantly surprised when you check your mailbox! 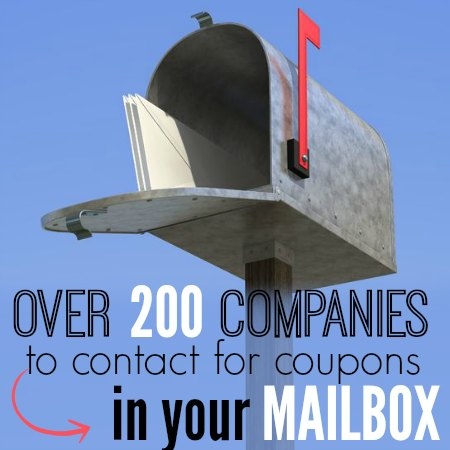 You will love getting free coupons by mail! Make sure you pin this post and save it, so you can come back to it regularly! ConAgra Foods – includes: Hunt’s, Rotel, Act II, PAM, Marie Callender’s and so many more! WHEW! Now that was a big list. Make sure you take a few minutes each day to write to a company or two and before you know it your mailbox will be full of coupons! You will get free coupons for groceries! It’s so fun to check your mail box every day. You never know what you might get. I was shocked they really would send me coupons in the mail for free! Once you get started, you will find out too! There are companies that send coupons for compliments, companies that mail coupons upon request and companies that send coupons for feedback! It’s a win win situation for everyone! 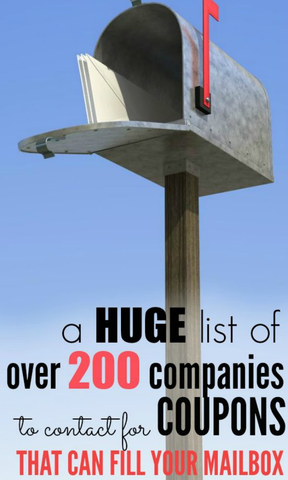 You save money by emailing this list of companies. They will love to send you coupons. Staying positive helps and let them know if you love their products. You often will get a coupon for a free product or a higher dollar amount off than what you can print off or get in the newspaper. Free coupons are the best! I have received coupons for lots of items. Make sure to provide your email address so you can be on their mailing list. I would just like to save as much as possible. Love your list of companies that send coupons! Thank You so much for the info, and I hope I can do this. Thank you, I look forward to seeing what these companies send me! Thank you so much for the time and effort to share with us some Good and helpful information. You’re welcome Karen – Thank you for visiting! I really love to use coupons of all types. I enjoy seeing the savings. I really need all coupons to be mailed. Thank you i look forward to the savings. Thanks again Denise..